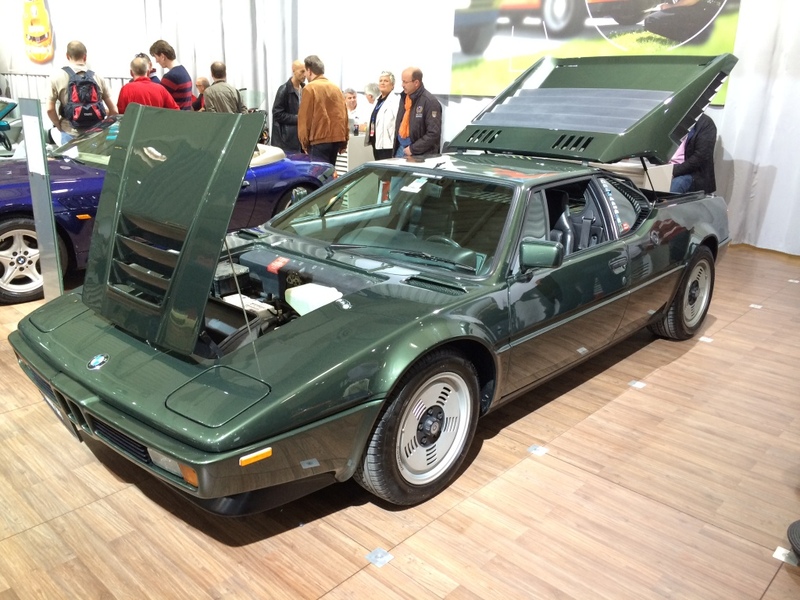 One of the peculiarities of the show was the fact that many manufacturers brought along their modern cars as well as cars from their heritage collections. Some highlights below. 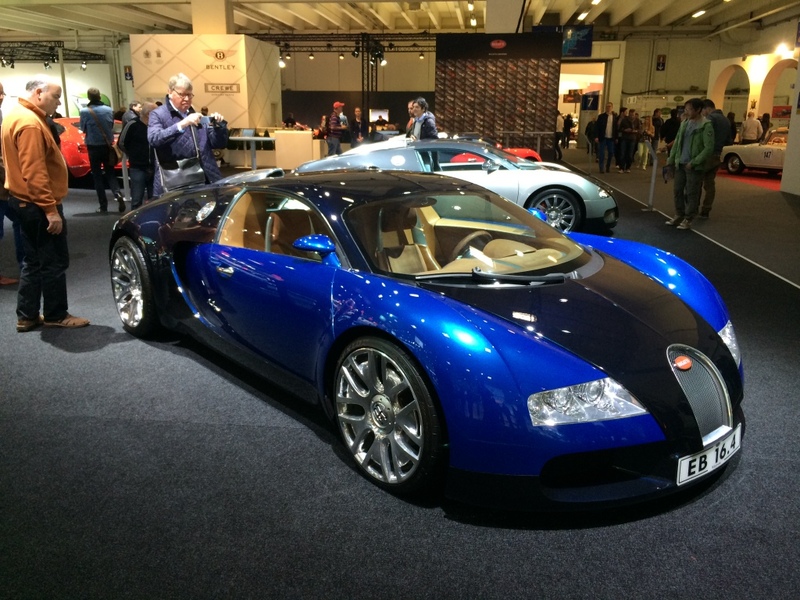 Volkswagen brought along a lot of VWs, Skodas, Seats, Audis and half a dozen Bugatti Veyrons. 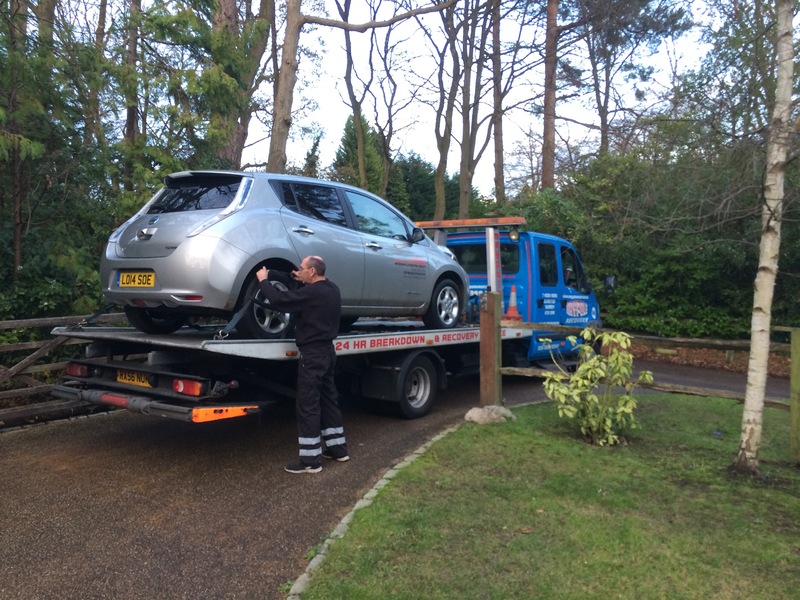 What an ugly car – though this colour scheme is smart. 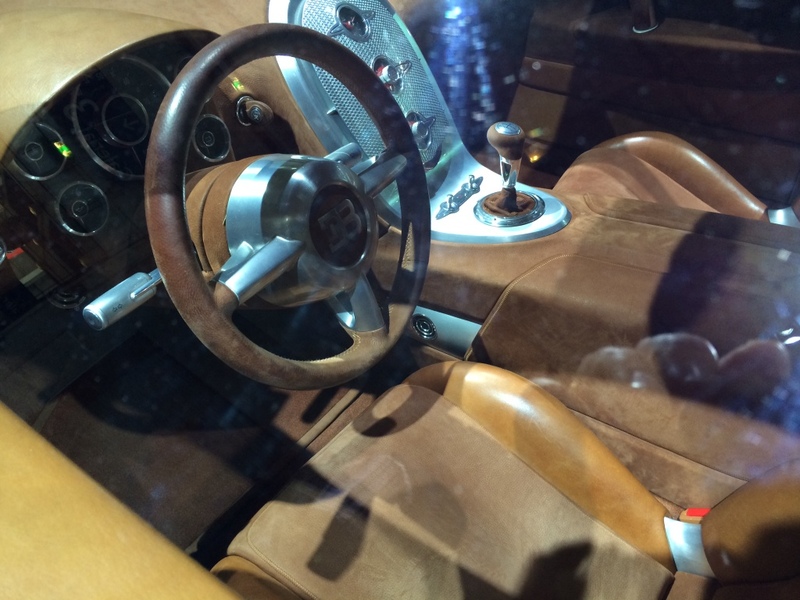 The same Veyron – note its a manual. Must be one of very few without flappy paddles. My parents had two of these VW Variants when I was growing up. Like the Beetle they were air-cooled with the engine at the back (see the cooling gills at the rear). In winter we would drive up to see my grandparents in the North of England and my brother and I would take it in turns sleeping in the boot which, being over the engine, was lovely and warm . 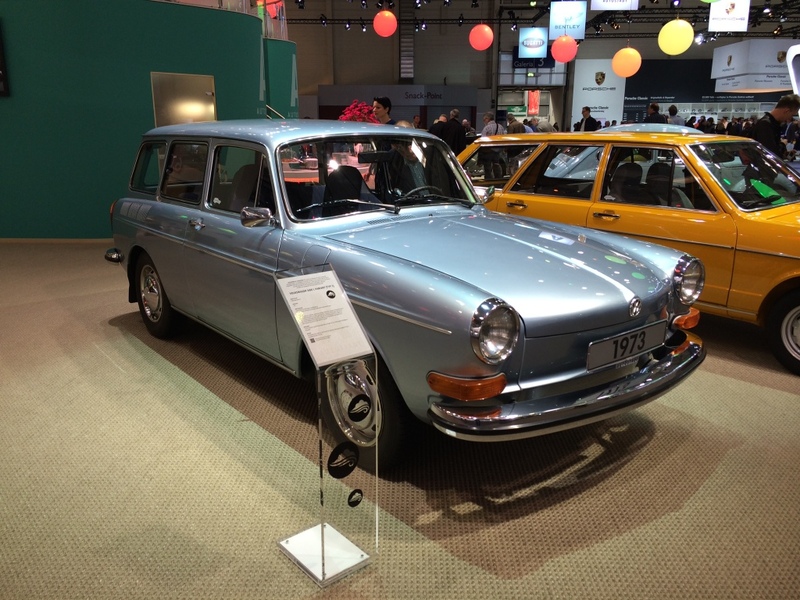 No child seats then..
Peugeot had this lovely 504 Coupe on their stand. 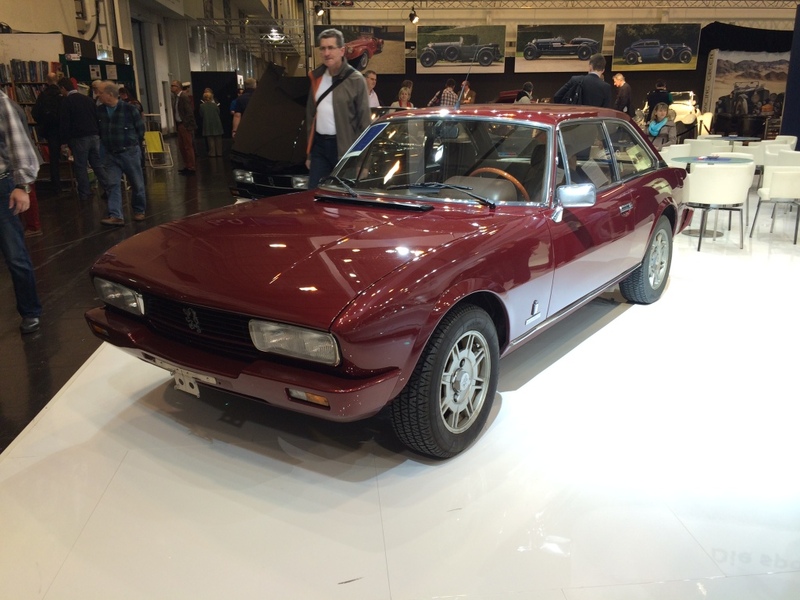 Designed by Pininfarina its one of my favourite cars and very rare in the UK. 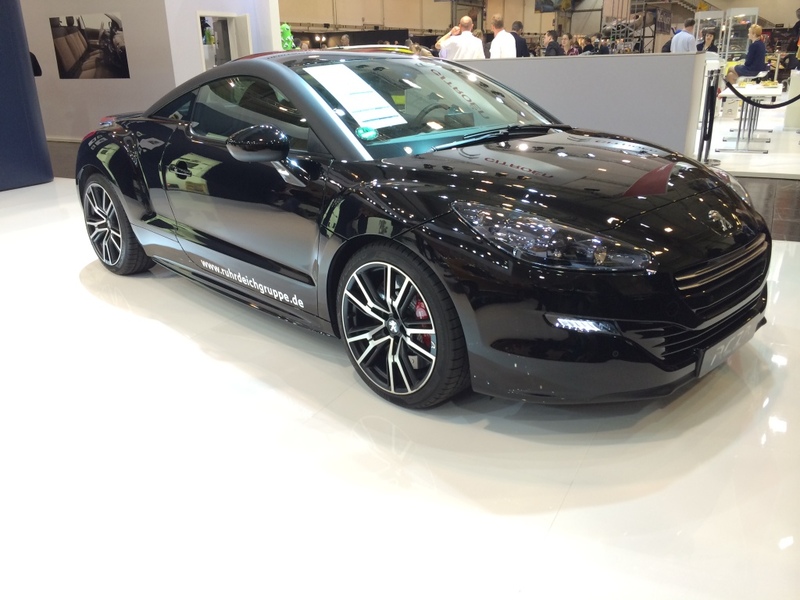 Peugeot chose to showcase the new R version of their striking RCZ Coupe. Commencement of production of the RCZ was the sign that Peugeot had begun to get their mojo back after decades of producing rubbish. The R version looks great and is the most powerful production car ever produced by Peugeot. 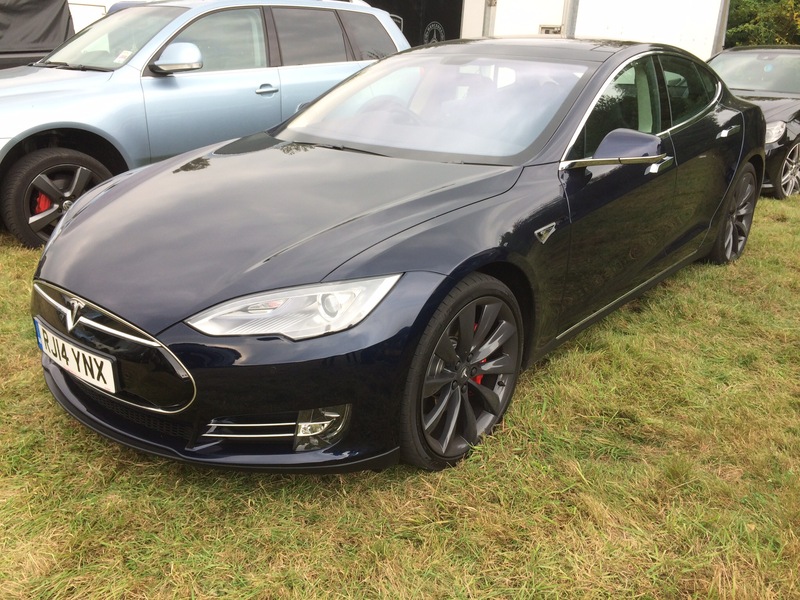 Sadly it will be produced in very limited numbers and sales will not helped by a £30k plus price tag. 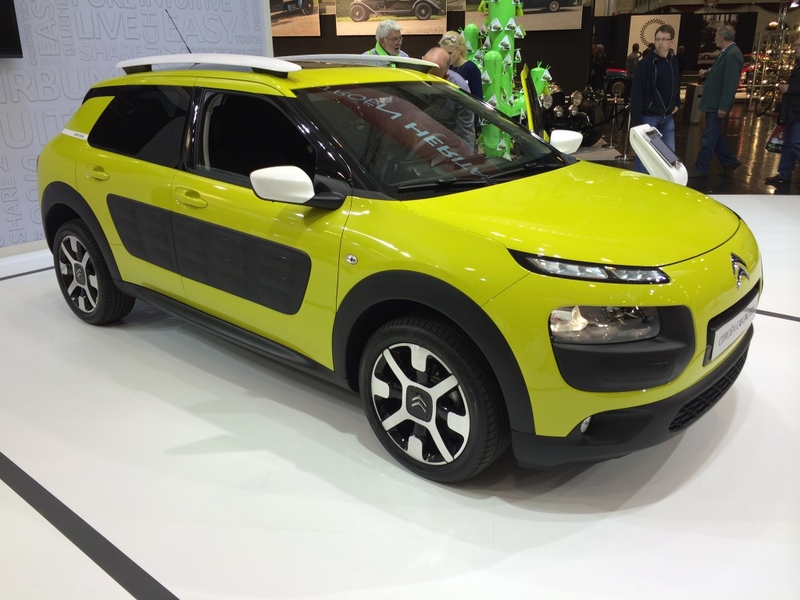 Citroen chose to show case their new Cactus Crossover. I think it looks great inside and out. Having been on the receiving end of far too many car park door opening dents I love the idea of the protective air pockets on the sides. They look good too. Fantastic French design. 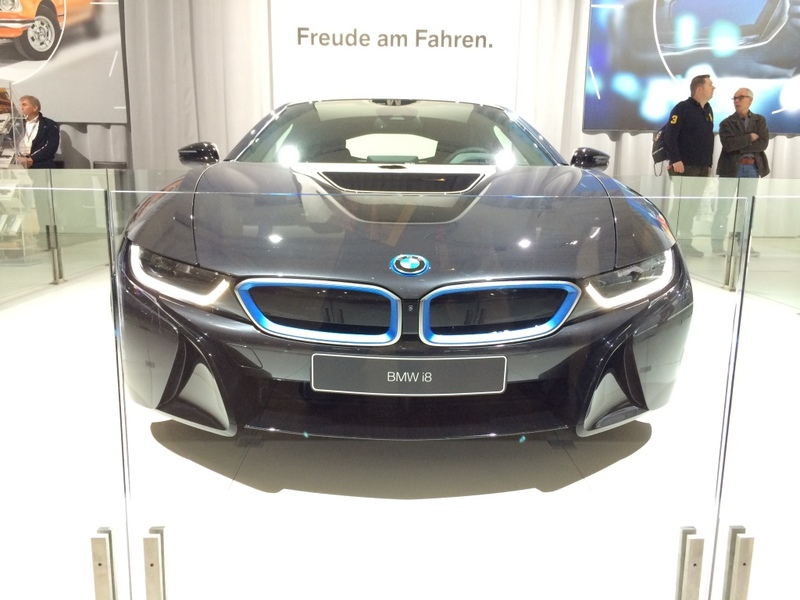 You could never imagine a German company coming up with anything like this. 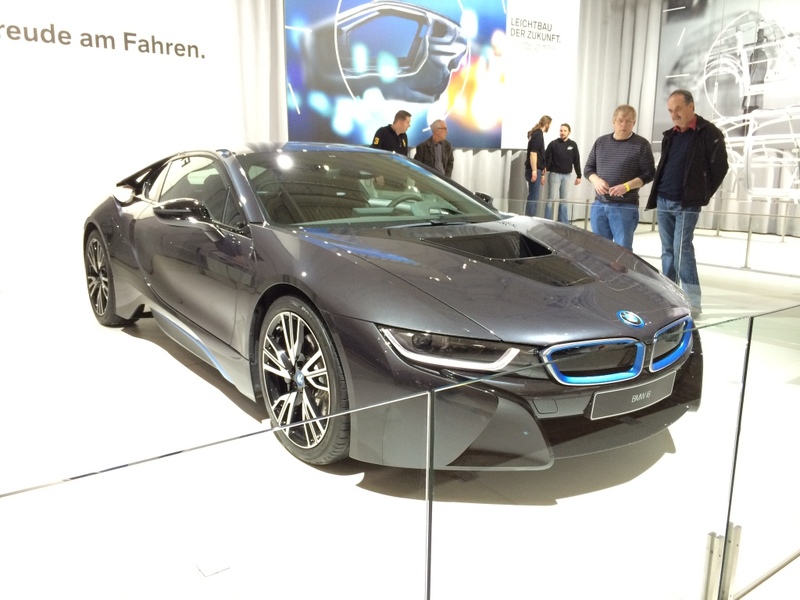 BMW had a lot of great cars on display. 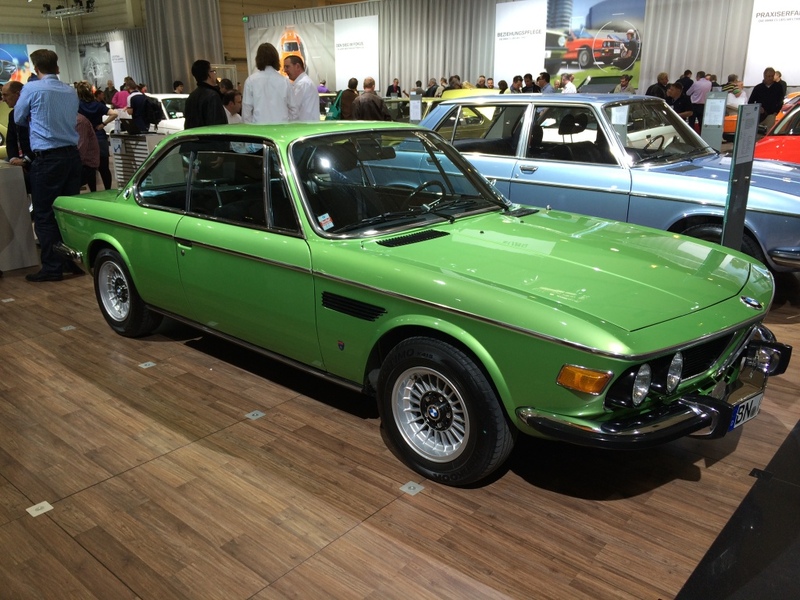 The CSL is a wonderful 70’s icon and one of the most beautiful coupes ever built. 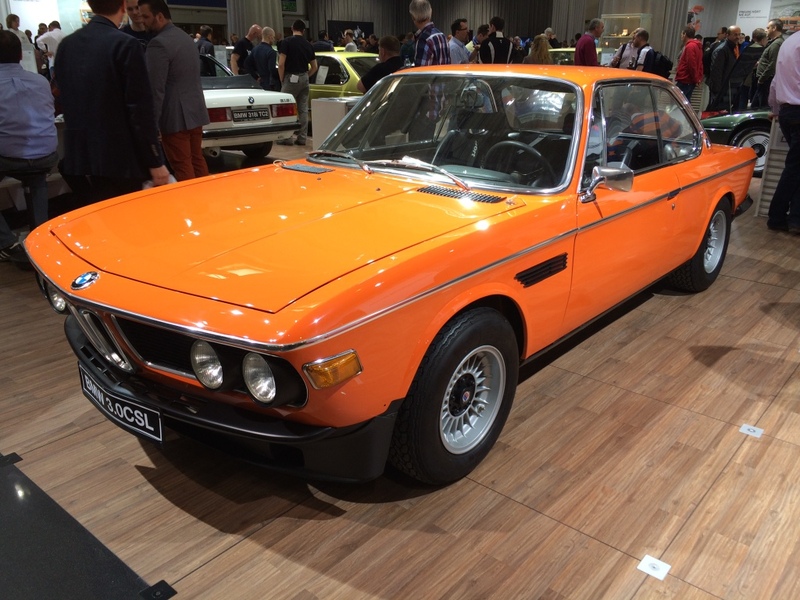 Especially in 70’s orange. 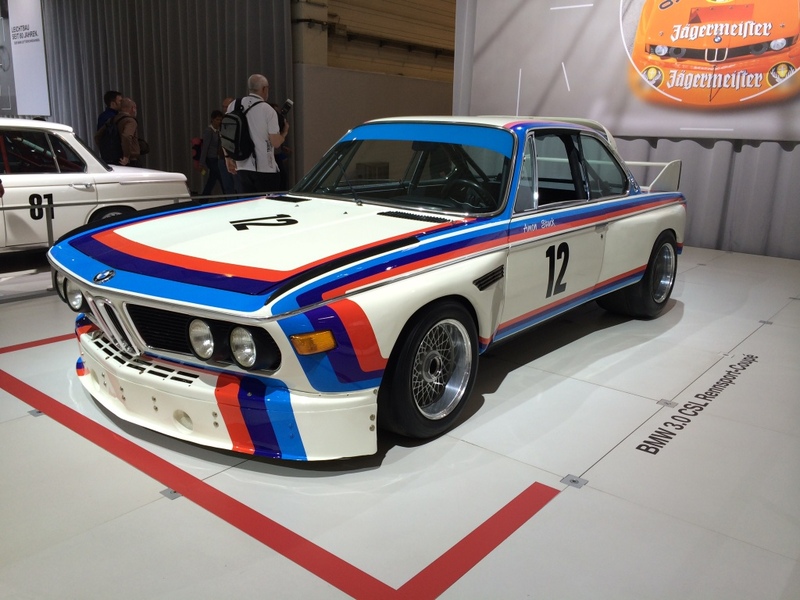 Martini Liveried Batmobile CSL racer. Great to see that livery back in racing with Williams F1. 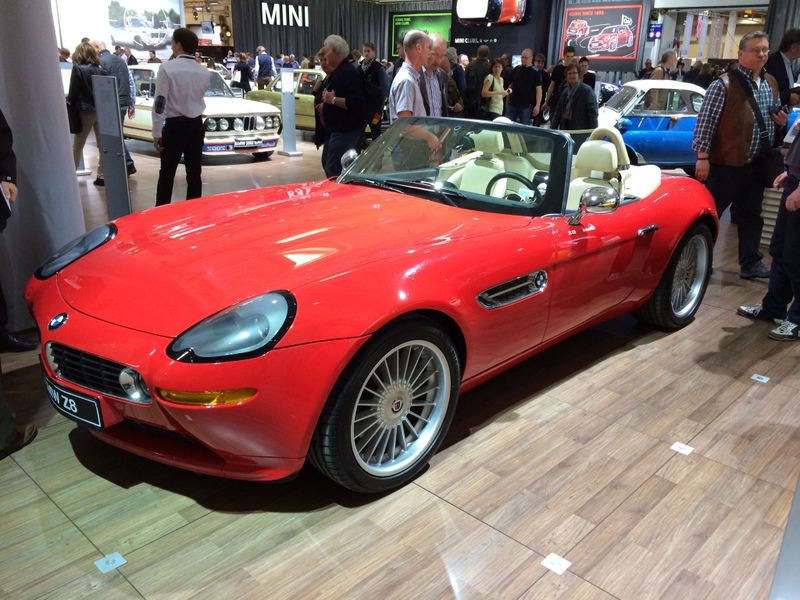 Z8 Sportscar – undoubtedly a great car bout now over £120,000? 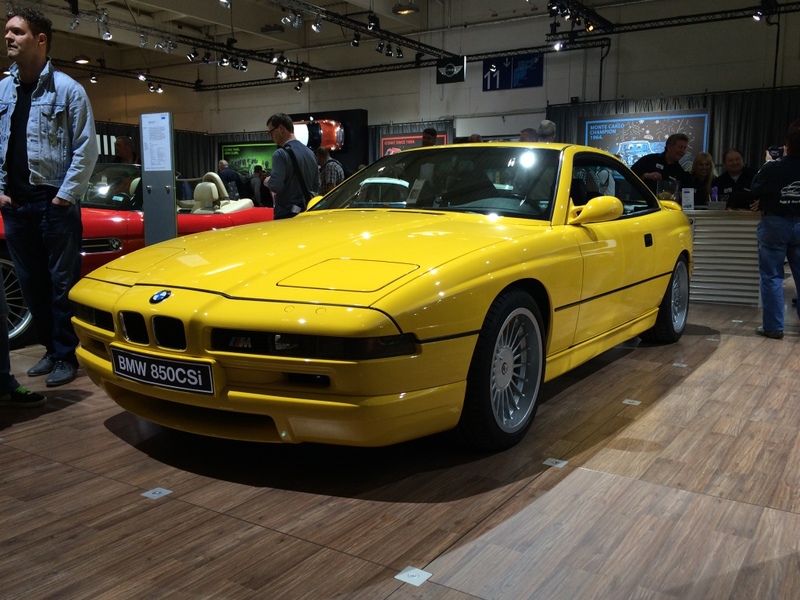 Supercar bargain – V12 850 CSi. These wonderful Ferrari baiters are very undervalued but look great, are fast and have that cracking engine. Sure fire future classic. 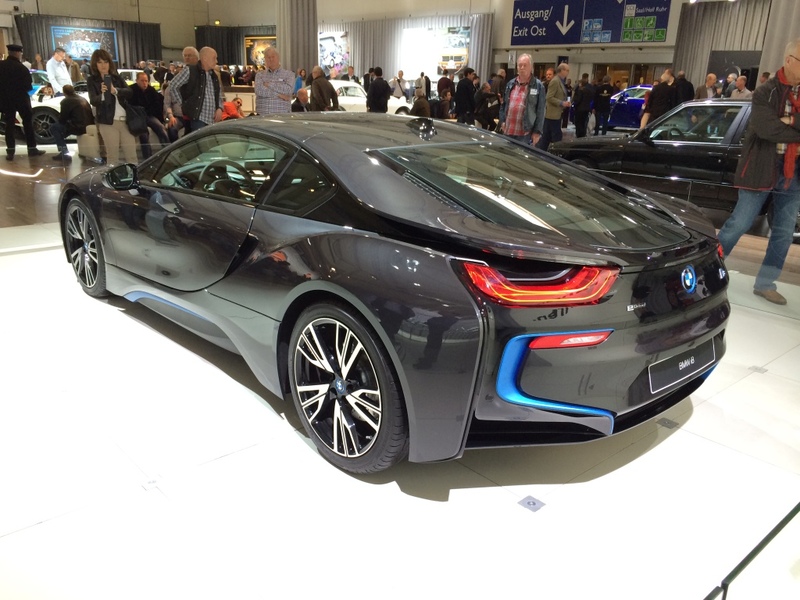 The stunning new BMW i8 electric sports car. 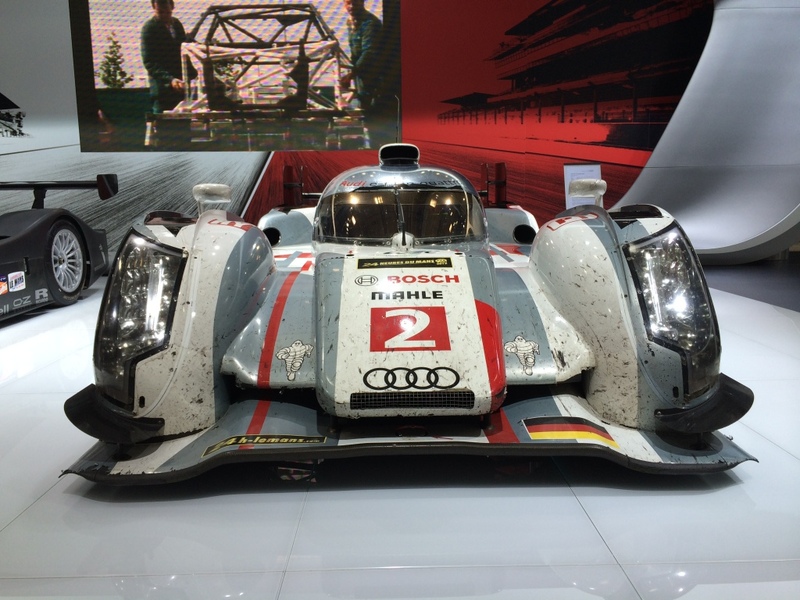 Absolutely stunning from all angles. 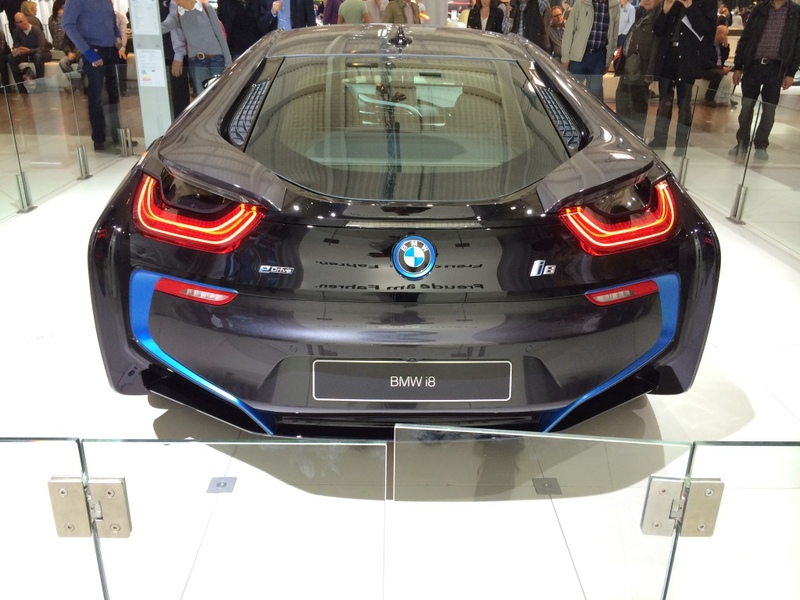 The i8 is so of the future it makes most other new cars look like antiques. Can’t wait to drive one.